In the quarter ended June 30, Alibaba generated over $US3.2 billion in revenue, up 28 per cent year over year, but short of the $US3.39 billion consensus expectation from analysts polled by Thomson Reuters. 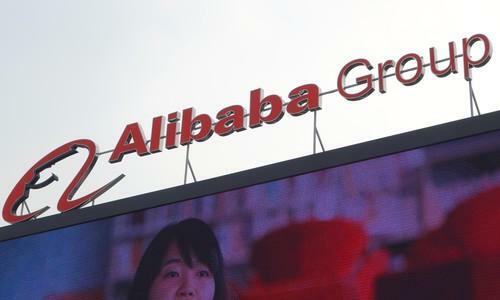 The e-commerce giant raked in a net profit of $US4.9 billion, for a 150 per cent increase, but the huge profit increase largely came from its film production arm, Alibaba Pictures. In June, the company reduced its stake in Alibaba Pictures, and "deconsolidated" it from the financial results. This resulted in a major gain for Alibaba's investment income. Income from Alibaba's actual operations brought in only $US817 million in the second quarter, down 25 percent from a year ago. Following the company's massive IPO on Wall Street, its stock-based compensation program to employees has been cutting into its earnings. Although revenue missed analysts' estimates and despite concerns that China's consumer spending is dragging, Alibaba executives maintained that the company had a strong second quarter. Alibaba runs two of China's largest online retail sties, Taobao and Tmall, in addition to its business-to-business wholesale platforms. The company now has 367 million annual active buyers, up 37 percent from a year ago. More of its customers are shifting from PCs to mobile. This led to a 225 per cent mobile revenue growth for its retail sites in China. Alibaba's Cloud computing service is also on the rise: it doubled its revenue year over year. The company's clients include Chinese Internet and gaming companies, along with state government agencies. Last month, Alibaba said it would invest another $1 billion in its cloud business for its global expansion. The company's e-commerce business, however, is still mainly focused on China. Its latest priority is to get large U.S. consumer companies and smaller businesses to sell their products through Alibaba's online retail sites. Alibaba Group CEO, Daniel Zhang, has previously said Alibaba won't last unless it expands internationally. The company's stock is down more than 6 percent this morning in the New York Stock Exchange.